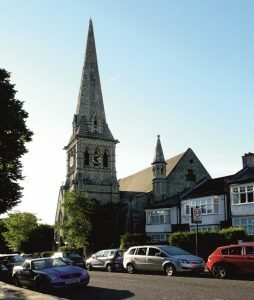 This project is a large new Community Hall at Holy Trinity Church, Tulse Hill – near Brixton in South London. It is the first straw bale church building in Europe and the largest urban straw bale community build in the UK. Straw Works have already designed and run a course for shallow car-tyre foundations, which sit on firm London clay. The Tulse Hill straw build is a very interesting and exciting project. Some life enhancing videos of the build here and here.